OH&S Management (International) Pty Ltd provides innovative Workplace Health & Safety solutions for our clients to ensure they meet existing and future business needs. The benefits of improving your organisations Risk Management & Workplace Health and Safety Systems will increase productivity and efficiency leading to a more profitable business. 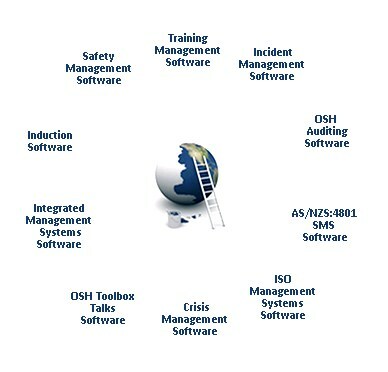 OH&S Management released the new RMS Enterprise Integrated Management System in January 2013. Many of our clients have now upgraded their older SMS Software Systems to this fantastic new product. The RMS Software solution is a comprehensive and economical web-based Risk Management System, that enables our clients to manage all aspects of Safety, Health, and Environmental risk and compliance across their entire business operations. Designed to meet the Australian Standards (AS/NZS: 4801&4360, ISO: 14001, ISO: 9001) for best practice and legal compliance. Please feel free to contact our Managing Director to arrange a presentation today on p.cleverly@ohsmgt.com.au or +61 0411 860 806. Our Workplace Health & Safety Mentoring Support Programs provide clients with total peace of mind when it comes to the design, development and implementation of a Safety Management System. We offer a variety of on-site mentoring and support programs based on the individual requirements of the organisation. Our focus is to ensure the client develops a system that meets both their business & industry needs. We build the Safety Management System to meet Legislative compliance requirements and Australian Standards. To guarantee the success of the system we provide ongoing Training and Professional support services for Managers & Supervisors, this approach ensures implementation actions are completed and adequate levels of competency are achieved throughout the organisation. To ensure the success of the WHS Mentoring and Support Programs, we provide a dedicated professional WHS Consultant on-site for the entire duration of the Program.